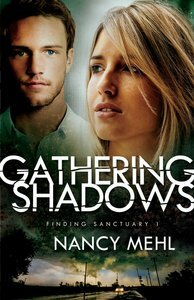 About "Gathering Shadows (#01 in Finding Sanctuary Series)"
Nancy Mehl lives in Wichita, Kansas with her husband, NorýNancy Mehl lives in Wichita, Kansas with her husband, Norman, and her son, Danny. She's authored nine books and is cuman, and her son, Danny. She's authored nine books and is currently at work on her newest series. All of Nancy's novels rrently at work on her newest series. All of Nancy's novels have an added touch ? something for your spirit as well as yhave an added touch ? something for your spirit as well as your soul. our soul. Customer Reviews For "Gathering Shadows (#01 in Finding Sanctuary Series)"
Suspense seems too simple a word to describe this story. I was starting to think every character was gonna have a hidden dark side. I enjoyed this first book in the series focusing on a small town called Sanctuary. This book introduces the reader to the many quirky characters within the town through the eyes of Wynter, a visiting reporter, working on a story for her station. But there is a twist - her investigations into her own brother's disappearance years earlier. Wynter finds out more about the mystery surrounding her brother at the same time as discovering more about herself and God. I really enjoyed this book. It has an interesting premise to the story and great writing brings it to life. Highly recommened.